The MATLAB System block brings existing System objects (based on matlab.System) into Simulink®. It also enables you to use System object APIs to develop new blocks for Simulink. For more information on this block, see MATLAB System Block. 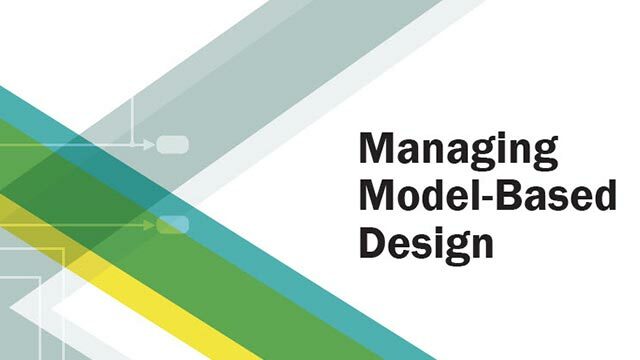 For interpreted execution, the model simulates the block using the MATLAB® execution engine. To use the MATLAB System block, you must first have a new System object™ or use an existing one. For more information, see Integrate System Objects Using MATLAB System Block. The MATLAB System block accepts inputs of most types that Simulink supports. It does not support virtual buses as input or output. It does not support nonvirtual buses that contain variable-size signals. For more information, see Data Types Supported by Simulink. For information on fixed-point support for this block, see Code Acceleration and Code Generation from MATLAB (Fixed-Point Designer). The MATLAB System block supports Simulink frames. For more information, see Sample- and Frame-Based Concepts (DSP System Toolbox). Signal output of a MATLAB System block that the System objectreturns. Specify the full name of the user-defined System object class without the file extension. This entry is case sensitive. The class name must exist on the MATLAB path. Enter the name in the text box. Click the list arrow attached to the text box. If valid System objects exist in the current folder, the names appear in the list. Select a System object from this list. Browse to a folder that contains a valid System object. If the folder is not on your MATLAB path, the software prompts you to add it. If you need to create a System object, you can create one from a template by clicking New. After you save the System object, the name appears in the System object name text box. Use the full name of the user-defined System object class name. The block does not accept a MATLAB variable that you have assigned to a System object class name. Select one of the options for a System object template. Starts MATLAB Editor and displays a template for a simple System object using the fewest System object methods. Starts MATLAB Editor and displays a template for a more advanced System object using most of the System object methods. Starts MATLAB Editor and displays a file that contains utilities for customizing the block for Simulink. This is the same file available in MATLAB when you select New > System Object > Simulink Extension. After you save the System object, you can enter the name in the System object name text box. On the first model run, simulate and generate code for MATLAB System block using only MATLAB functions supported for code generation. If the structure of the block does not change, subsequent model runs do not regenerate the code. If the simulation mode is Code generation, System Objects accept a maximum of 32 inputs. Simulate model using all supported MATLAB functions. Choosing this option can slow simulation performance. After you assign a valid System object class name to the block, the next time you open the block dialog box, the parameter is visible. This parameter appears for every MATLAB System block. You cannot remove it. If the block has no tabs, this parameter appears at the bottom of the dialog box. If the block has multiple tabs, this parameter appears at the bottom of the first tab of the dialog box. Overflows saturate to either the minimum or maximum value that the data type can represent. For example, an overflow associated with a signed 8-bit integer can saturate to -128 or 127. Overflows wrap to the appropriate value that the data type can represent. For example, the number 130 does not fit in a signed 8-bit integer and wraps to -126. Consider clearing this check box when you want to optimize efficiency of your generated code. Clearing this check box also helps you to avoid overspecifying how a block handles out-of-range signals. For more information, see Check for Signal Range Errors. This check box appears when you use the showFiSettingsImpl method in the System object. Treat fixed-point data types as fi data types. Treat fixed-point and integer data types as fi data types. Select which fixed-point math settings to use. Use the current MATLAB fixed-point math settings. Enable the edit box for specifying the desired fixed-point math settings. For information on setting fixed-point math, see fimath. 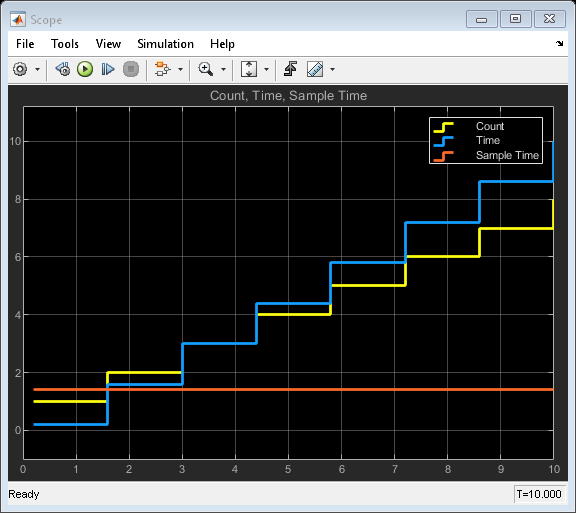 Control the sample time of the MATLAB System block using System object™ methods. For more information about HDL code generation, see MATLAB System.